It’s been a while since Maketh-the-Man has put time aside to give our beloved accessories some love. That is about to change quite quickly, as we’ve gone back to the basics and begun our search for some ideal accessories for our AW18 formalwear. New brand we’ve recently discovered is Geoff Stocker, a brand with the dashing accessories we gravitate to like a falling apple to the ground. We’re beginning to see more prints surface in menswear trends, with no real sign of slowing down anytime soon. 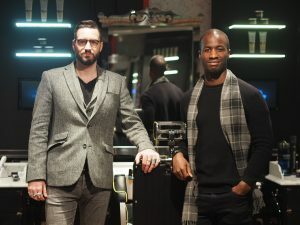 And for autumn winter Geoff Stocker made sure they’re getting on board as soon as possible. Pocket squares isn’t the only thing that they have on their shelves, but its what we were given to try out so we shall focus on the category at hand. In a world where we are desperate to be a unique form of ourselves, whilst being confident about where our products are being made, having sterling prints made in England is a huge bonus for Geoff Stocker. 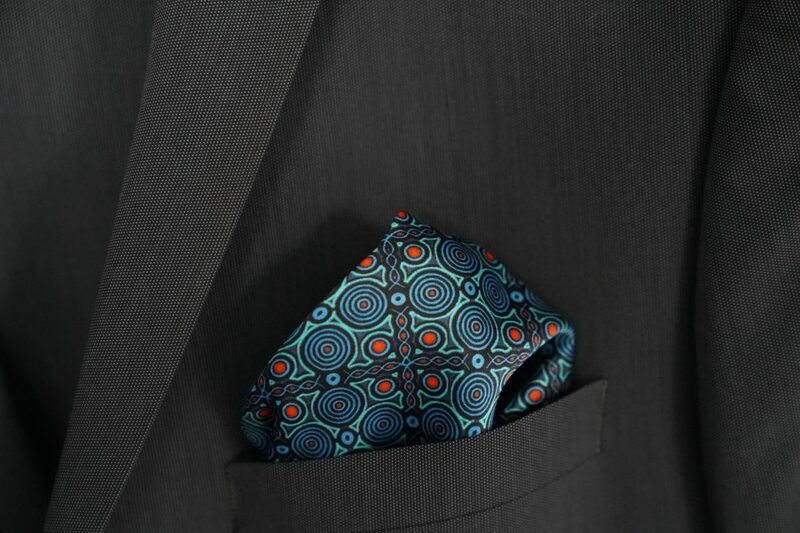 There are 14 pocket squares available to choose from online, from saxon swirls, to their rather hypnotic Carpathian design. All made from 100% and all made in England (and they don’t look too bad when you pop it into the suit pocket of choice. 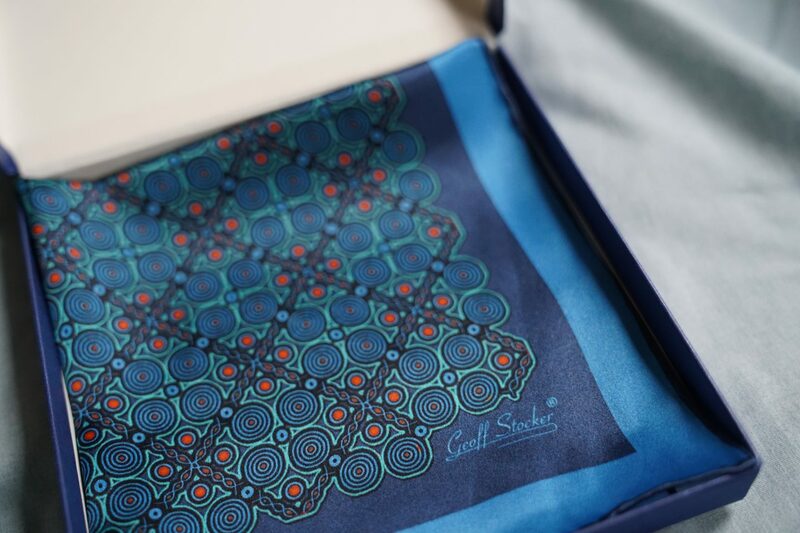 If the Geoff Stocker pocket squares are anything to go against, we think you’ll have a rather splendid experience if you decide to delve deeper into their other ranges of products. 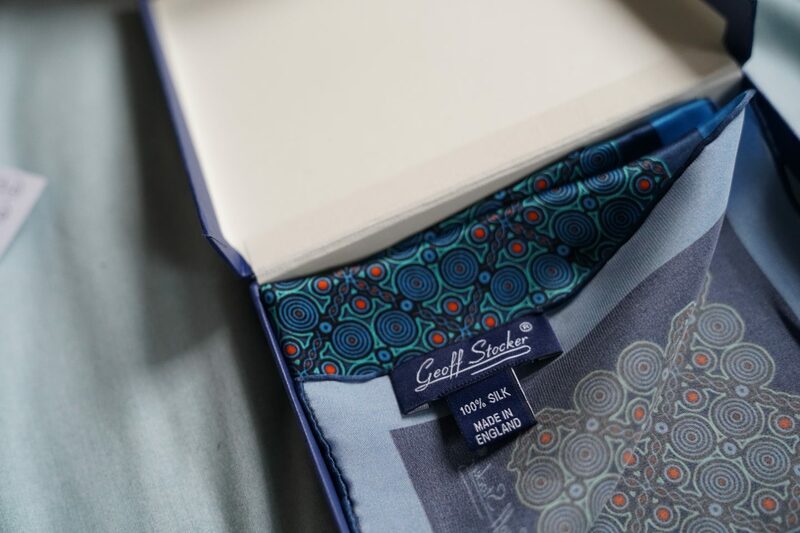 As mentioned earlier you will be able to find the made in England Geoff Stocker collections on their website, where you will also find a range of dressing gowns of the decadent gents styling, and silk scarves (something we’re keen to get into some more).